The Kobold Chieftain became enraged when he was dealt the heavy damage by Shi Feng’s surprise attack. The blood that leaked from its wound became its stimulant. The Kobold Chieftain raised its giant ax, bombarding Shi Feng with one attack after another. The Kobold Chieftain could not react appropriately towards Shi Feng’s previous surprise attack. It could only instinctively attack, so its attacks were aggressive. Against the wild attacks of the Kobold Chieftain, even a Level 5 Shield Warrior or Guardian Knight would die within an instant. Shi Feng could only retreat under such intense attacks. He did not have any chance to retaliate. He also needed to dodge the incoming rubble the size of fists. If they hit him, it would cause quite an amount of damage. A man and a beast exchanged moves at high speeds. If it were an average man, he most likely would not be able to make a single move. He would be halved by the giant ax, becoming very much dead. Shi Feng had been dodging for a whole seven or eight seconds now. When he saw Blackie, having yet to attack, he shouted loudly. They were currently facing a Chieftain Boss, not a little Elite. The attack patterns of a Chieftain Boss were not as monotonous as an Elite’s; it had a variety of attacks. The Chieftain Boss was a monster that possessed intelligence. It would even change its attack pattern for specific players. Couple that with a strength that was two to three times that of a normal Elite, the Chieftain Boss was stronger than an Elite by at least four times. Although Shi Feng had only exchanged blows with the Kobold Chieftain for seven or eight seconds, it felt like several minutes had gone by. Just from blocking attacks and the occasional counter attack had already taken over 100 HP from Shi Feng. If this situation continued, it wouldn’t be long before his HP reached 0. With the Famed Sword, Abyssal Blade, Shi Feng’s Attributes were greatly increased. It allowed three Hidden Basic Skills that were most important to a melee player to be activated. With these Skills, Shi Feng was able to exhibit extraordinary attacks and dodges continuously. If he did not possess the Abyssal Blade, Shi Feng would have died long ago. “Ah, I’ll come help you, Brother Feng.” Blackie realized his mistake as he finally reacted. He hurriedly waved his staff, his mouth chanting a curse. After aiming at the Kobold Chieftain, he shot a Dark Arrow. The Dark Arrow landed on the Kobold Chieftain’s body, only dealing 17 points of damage. Blackie’s mouth became wide open after seeing this damage. He couldn’t help becoming astonished by a Chieftain monster’s Defense. Blackie could cause over 50 damage if he attacked a Level 5 monster, however, it was only a third of that amount now. It could be seen how shocking a Chieftain monster’s Defense was. On the other hand, Shi Feng could deal over a hundred damage in a hit. What kind of Attack Power was that? Shi Feng abruptly slashed the Abyssal Blade in mid-battle. A black light dug itself through a gap in the Kobold Chieftain’s attack. Peng! Shi Feng took three steps backward before stabilizing his body, over 30 damage appearing above his head. On the other hand, only the Kobold Chieftain’s giant ax was pushed back, pausing slightly in midair. “It worked. It seems like my Strength is just barely enough.” Shi Feng was very satisfied with the attack this time. During battles within G.o.d’s Domain, not only could players defend and dodge, but they could also interrupt a monster’s attack; this would cause the monster’s attack to stop briefly, ending the monster’s offensive. It was a high-leveled battle technique. Such techniques only started becoming popular half a year after G.o.d’s Domain’s opening, especially in Boss battles. If the MT (main tank) did not learn such techniques, the end-result would be a party-wipe. This was because there were no players capable of blocking a Boss’ crazed and continuous attacks. The Kobold Chieftain’s momentary pause had caused it to reveal a weak point. Shi Feng rushed in without hesitation. Gathering all his strength into his hand, Shi Feng gripped the Abyssal Blade tightly and continuously struck the Kobold Chieftain. Four streaks of sword light hit the unarmored parts of the Kobold Chieftain. With the damage amplification effect, Shi Feng’s attack instantly took to 300 HP away from the Kobold Chieftain. Adding in Blackie’s attack, the Kobold Chieftain only had little over 900 HP remaining. “Ao! Ao! Ao!” The Kobold Chieftain started going into a frenzy. It threw its giant ax to a side, pulling out two machetes from its waist. The change in weapons caused the Kobold Chieftain’s attack patterns to change. If the Kobold Chieftain was a Berserker when he held the giant ax, then after wielding the pair of blades, the Kobold Chieftain was a dual-wielding Swordsman. The Kobold Chieftain now combined Strength with Agility, no longer just using violence to oppress its opponent. The attack pattern of the pair of blades was no longer monotonous. The Kobold Chieftain’s attack speed had a large increase as well. Just after Shi Feng dodged one of the blades, the other came following behind. Shi Feng hurriedly used the Abyssal Blade to block it. Dazzling sparks were created when the blade and sword intersected with each other. Shi Feng’s entire person was sent flying away. When Shi Feng was still in midair, he saw the Kobold Chieftain leaping with all its might, it’s machete raised high for a frontal a.s.sault. The Abyssal Blade blocked the machete. However, Shi Feng was like a meteorite as he fell heavily to the ground. Shi Feng had thought the Kobold Chieftain’s attack to be over. However, as it fell from the sky, its twin blades plunged downwards as well, with Shi Feng’s chest as their target. Shi Feng was unable to move to dodge the attack. Instantly, a doppelganger of Shi Feng appeared 3 yards away from him. With lightning speed, Shi Feng swapped places with his doppelganger. When the Kobold Chieftain landed, both its blades stabbed into the doppelganger’s chest. The doppelganger’s HP madly fell, over 300 HP disappearing within an instant. Just as the Kobold Chieftain revealed an excited smile, Shi Feng appeared behind its back. The Abyssal Blade in his hand was also letting out a faint black glow. Nine phantoms of the Abyssal Blade appeared, silently floating in midair and circling Shi Feng. Although Shi Feng could not completely control all nine swords, using the nine of them for a simple attack was not a problem. Nine Abyssal Blades danced as if they were playful sprites, continuously penetrating the Kobold Chieftain’s body. Small values that were just over -10 continuously appeared on the Kobold Chieftain’s head. Although the damage was very low, the quant.i.ty was high. Including Shi Feng’s Chop and normal attacks, the Kobold Chieftain’s HP fell close to 500 HP. Seeing the Kobold Chieftain wanting to turn around, Shi Feng did not dare give it any chance for a counterattack. Immediately, Shi Feng used Abyssal Bind. The Kobold Chieftain could not move for 3 seconds, and its Defense was reduced by 100%. In a battle, where even blinking would get you killed, three seconds was enough to change the results. The Kobold Chieftain could not move after being bound by the pitch-black chains which came from the Abyssal Blade. The nine Abyssal Blades continued attacking without stop, creating damages of over -20 with each hit. The Kobold Chieftain’s HP madly fell, leaving it with only around 200 HP within a moment. “Awoo!” The Kobold Chieftain bellowed as it became thoroughly berserk, its body size becoming two-folds larger. Shi Feng watched as the 3 seconds pa.s.sed by. The Kobold Chieftain’s strength was no joke after becoming completely berserk. Its strength had increased by at least 30%. However, all of Shi Feng’s attacks and lifesaving skills were still on cooldown. As if having seen through Shi Feng’s distress, the Kobold Chieftain’s face revealed a mocking expression. Two large blades came crashing towards Shi Feng, their speeds like that of flying arrows. At the moment of life and death, Shi Feng noticed a Kobold miner resp.a.w.ning from the corner of his eyes. Immediately, Shi Feng activated Gravity Liberation, followed by Wind Blade. With lightning speed, Shi Feng dodged the chop from the twin blades and rushed towards the Kobold miner’s front. “Ao! Ao! Ao!” When the Kobold Chieftain saw the near-death Shi Feng actually dodging its attack, its strong legs abruptly stomped on the ground, pushing it straight towards Shi Feng. Blackie felt chills down his back as he watched Shi Feng fighting. Regardless, his mouth never stopped chanting curses, sending out one Dark Arrow after another. However, the Kobold Chieftain’s speed was too fast, trying to hit it was just too hard. Fortunately, there was more than a 20-yard distance between the Kobold Chieftain and Shi Feng. The Kobold Chieftain would still need some time to catch up to Shi Feng. Within this period, Shi Feng might even be able to kill off the Kobold Chieftain with the nine phantoms of the Abyssal Blade. However, both Shi Feng and Blackie had underestimated the Kobold Chieftain’s explosive strength. Not only were its Strength and Defense greatly increased, even its Agility had a great increase. It only took 2 seconds for the Kobold Chieftain to reach over 20 yards. The Kobold Chieftain lifted its twin blades, strongly slashing it down. The Kobold miner in front of Shi Feng was split into two, and a rain of blood fell 5 yards around it. This slash had closely brushed past Shi Feng’s cheek, nearly taking his life away. Seeing the Kobold Chieftain preparing to slash down its other blade, Shi Feng strongly raised the Abyssal Blade in his hand. Three streaks of thunder penetrated the Kobold Chieftain’s body, taking away its last remaining 130 HP. Seeing the Kobold Chieftain finally fall, Shi Feng let loose a breath of relief. The Chieftain monster is truly too strong. Even if Shi Feng came here at Level 5 fully equipped with Bronze Equipment, he would still be a goner. He could only kill it due to luck. Compared to a Level 2 Thundering Flash, the Level 4 Thundering Flash only had a cooldown of 24 seconds. The cooldown had finished just in time, allowing Shi Feng to escape death. System: Level 5 Kobold Chieftain killed. Level difference of 5. EXP obtained increased by 500%. Obtained 2350 EXP. Shi Feng immediately rose to 76% of Level 1. System: Congratulations for becoming the first player to kill a Chieftain monster. Kobold Chieftain’s item drop increased by 200%. Reputation in Star-Moon Kingdom increased by 10 points. Suddenly, the Kobold Chieftain’s body started expanding. Its size continued increasing until its body exploded with a boom, scattering a pile of items all over the floor. 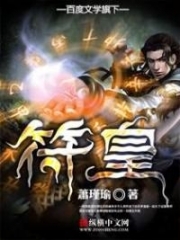 You're Read Reincarnation Of The Strongest Sword God Chapter 18 - Nine Dragons Slash online at NovelOnlineFull.com. You can use the follow function to bookmark your favorite novel ( Only for registered users ). If you find any errors ( can't read,broken links, can't load photos, etc.. ), Please let us know so we can fix it as soon as possible. And when you start a conversation or debate about a certain topic with other people, please do not offend them just because you don't like their opinions. You're reading Reincarnation Of The Strongest Sword God. This manga has been translated by Updating. Author(s): Lucky Cat. Already has 8647 views. Current Time is 25-Apr-2019 13:51:17 PM.